Did you know that former Major Leaguer Joe Cowley spent his prime pitching years leading a double life? It might sound far-fetched, but I have some (remembered) evidence to back up this assertion, and it would help explain a few things. In the spring of 1986, Joe Cowley was 27 years old and flirting with the front of the Chicago White Sox rotation. It was an unlikely development for a guy whom the Atlanta Braves signed as an amateur free agent in 1976 and then spent six years in the minors before getting a brief shot at the Majors in 1982. After an uninspiring 17-game run with the Braves that summer, they sent him back to Triple-A Richmond in 1983 and then released him that fall. The New York Yankees apparently saw something in the soon-to-be 25-year-old and signed him as a free agent. It must have been an exciting time for Cowley considering that 1) he was getting a new lease on Big League life and 2) he was going to the Yankees, who had won 91 games in 1983. After half a season with the Triple-A Columbus Clippers, Cowley got the call from New York, and he seized his opportunity. In 17 appearances for the Yanks in 1984, including 11 starts, he went 9-2 with a 3.56 ERA. That performance earned Cowley a rotation spot for 1985, and he parlayed that status into a 12-6 record, though with a heftier 3.95 ERA. Cowley had to be feeling pretty good about his future, but the Yanks wanted something different. In particular, they wanted Britt Burns, so they shipped Cowley to the White Sox along with Ron Hassey in exchange for Burns and minor leaguers Glenn Braxton and Mike Soper. And so Joe Cowley entered his age-27 season — the prime of his prime — in the rotation of a ChiSox team that finished 85-77 in 1985, with hopes of contending in 1986. By that spring, I considered myself a veteran baseball card collector, and I was also finishing up my eighth-grade year. Now, our country school was small enough that the junior and senior high schools shared the same building. That made for some uncomfortable moments every fall as fresh-faced seventh graders made their way through Senior Hall, littered with man-sized delinquents, on their way to algebra or typing or whatever class. In the spring, the big kids turned their attention toward proms and graduations and jobs — real adult stuff, it seemed at the time. And so it happened that, one day in April 1986 as I was walking to class after lunch, I had to pass through a gauntlet of meatheads just looking to pick a fight. My heart dropped as one of them pivoted in front of me and stopped me cold. Now, I know that sounds ridiculous, but I knew my baseball cards, and I knew the faces on my baseball cards. And this dude standing in front me with a fake smile was Joe Cowley, erstwhile Atlanta Braves prospect. “Hey, you’re Adam, right?” Cowley cooed at me. His buddies snickered all around me. I was being set up, and I knew it — but what could I do? The kid gave me his name, which he claimed was something other than Joe Cowley, but I knew better. Warning alarms threatening to burst my mind — and ticker — I answered in the affirmative again. Cowley’s smile broadened, and he clapped a meaty hand on my shoulder. The sea of bullies parted, and Joe guided me to his locker. That was cool. I was starting to thaw. Maybe this guy — Joe Cowley — was OK, after all. Maybe he really wanted to be friends since we were both collectors. “Here, look,” Joe said as he pulled a tattered brown paper sack from the bottom of his locker. I was excited. And scared, sorta. Joe unrolled the top of the bag and reached inside. Pulled out a handful of mushy old cardboard that I recognized immediately: these were indeed 1950s Topps and Bowman cards. And time had beat the hell out of them. There were probably 100 cards in the bag, and the undoubted king of the pile was a 1955 Topps Willie Mays. Now, I’m all for ugly cards. Beat-up cards. Loved cards. But this Mays card was loved more than most — multiple major creases, corners rounder than John Kruk and fuzzier than Yogi Berra‘s logic, a hunk or two missing, pinholes ready to aid with bulletin-board display. I could feel Joe glance at me, grinning, as he thumbed through the cards. My stomach fluttered, because I knew where this was heading. “I can let you have them for $200,” Cowley told me. Their eyes dim as they ratchet down their internal opinion of you. Their eyes light up because they’re immature, too. They offer to sell you the rare treasures they’ve been sitting on for generations. I’ll let you guess which one Joe had. What he may not have realized, and certainly didn’t care about, was that I was just a kid and didn’t have any money. What’s more, I was savvy enough to know that a piece-of-crap Willie Mays card was worth much more to the the person who had “built” it than it was to anyone else in the world. I’m guessing those cards were worth maybe $10 total, and they probably haven’t appreciated too much in value in the intervening decades. So … I tried to explain my situation to Joe Cowley as delicately as I could, laying the blame on myself as much as possible. I didn’t know that much about old cards. I could feel the flesh walls closing in on me as Cowley and his cohorts stared me down. Only the sweet chime of the class bell and a vigilant math teacher saved me from certain doom. In the end, I scampered down the hall to English class while Joe burned holes in me with his eyes. I slinked through the rest of my day and week trying to avoid his notice, but Joe always seemed to be there, standing against a bank of lockers, seething. Ready to pounce again should I get close enough. The prom came and went, and I suppose Joe worked something out — those kinds of guys always do — but his disgust for me was palpable, and I never really felt comfortable until summer break swooped in to save the day (year?). Just a few days into vacation, while I was sorting through cards and pounding chips and grape soda, Joe returned to his second life as a Major League pitcher. He went 7 1/3 innings as the White Sox beat the Kansas City Royals, 4-1, at Royals stadium. He struck out the first seven Rangers he faced: Oddibe McDowell, Scott Fletcher, Pete O’Brien, Pete Incaviglia, Gary Ward, George Wright, Steve Buechele. Those were some pretty decent hitters, but Cowley got them all. Then … well, reality caught up to him. Maybe it was the reality that he was just a high school student whose coercion skills needed brushing up. Maybe it was the reality that he wasn’t really a strikeout pitcher — at least not that kind of strikeout pitcher. Or maybe it was just the reality that he had thrown a big gob of pitches in less than three innings. Whatever the case, the reality of an Orlando Mercado flyout broke the rhythm. Then, Curt Wilkerson collected the Rangers’ first hit, a single to right field. After catcher Carlton Fisk muffed a foul ball, Cowley coaxed McDowell into a groundout to end the inning. But in the bottom of the fourth, with his arm tiring and the strikeout streak long gone, Cowley gave up two runs on two hits, an error of his own, and a wild pitch. The next inning, he got hammered for four more runs and left with two outs, relieved by Gene Nelson. Cowley took the loss that day, dropping his record to 1-2, and he’d scuffled to stay above .500 the rest of the way, though he did throw a no-hitter against the California Angels in a 7-1 victory on September 19. After his last start on October 5, a loss to the Minnesota Twins in the Homer Dome, Cowley’s record landed at 11-11, though he had an OK 3.88 ERA and struck out more than seven batters per nine innings pitched. The next spring, Chicago traded him to the Philadelphia Phillies for outfielder Gary Redus, but Cowley struggled to crack the rotation for a mediocre Phils team. After four starts in five appearances for Philly in 1987, Cowley was 0-4 … and then he was released. I don’t really remember seeing Joe around school that fall of 1986 (or after), and I always just kind of assumed he graduated. I mean, he was 28 by the time he retired from the Phillies, so that seems like a good enough time to leave high school, too, right? If there was one consolation for Joe Cowley in all his mixed-up, messed-up travels and travails between rural Indiana and the Big Leagues, it’s that he crafted his own space in baseball card collections across the land. His cardboard may never be loved enough to end up fuzzy and creased and pinholed, but he did log face time on 10 or so real Big League cards — including a spotlight card for his no-hitter in the 1986 Donruss Highlights set and mention of the same on the back of his 1987 Donruss card. He also has the distinction of logging a no-hitter as his last Major League victory. So, was it the strain of the seven straight strikeouts in May if 1986 and the no-no on September that eventually led Cowley out of the game? Or was it the mental hangover from not being able to sell his dad’s baseball cards? After all, Joe Cowley wasn’t really the cardboard bully from my high school. The Private Blog of Joe Cowley by Ben Davis. Collectors’ Ballot: Did the Hall of Fame Voters Get It Right with the Class of 2017? 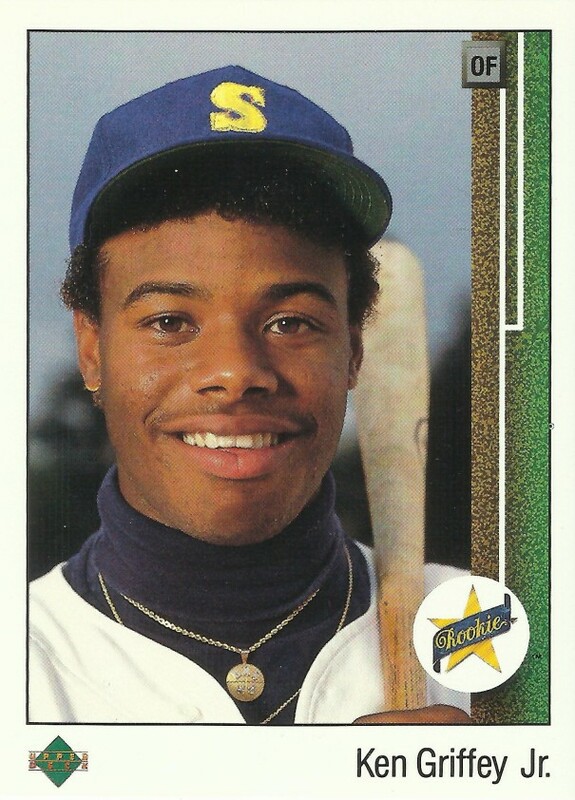 Leave your email address below to sign up for our newsletter and access to occasional freebies like our "Ken Griffey, Jr., Master Checklist" of more than 8000 Junior cards ... start tracking YOUR collection today! Thank you for reading Wax Pack Gods. Click here to access the “Ken Griffey, Jr., Master Checklist” Google sheet. Make a copy of the file, and then you can edit it as you like and use it to keep track of your own Griffey collection. Leave your email address below to sign up for our newsletter and occasional freebies like a handy clickable checklist for tracking yourMike Schmidt baseball card collection. Thank you for reading Wax Pack Gods. Click here to download your free Google Sheets version of the Mike Schmidt Checklist or here for the Excel version.